When we change habits, it rarely happens just by itself. This is also the case with our IT habits. The ‘Humour against hacking’ campaign was created with this in mind. 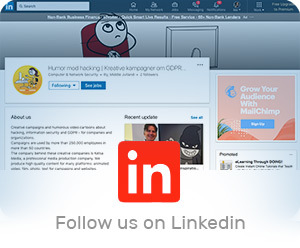 The most important ingredient in the ‘Humour against hacking’ campaign is a series of video cartoons that have a humorous, creative twist and which inspire and engage employees to improve their IT habits. This helps raise the IT security level significantly for the entire organisation. When employees click on malicious links or are fooled to hand over money or confidential documents, they often do so because they are not aware of their mistake – before it is too late. It happens because they lack knowledge about how cybercrime works and can affect them. The campaign is designed to accommodate all types of businesses, both private and public. 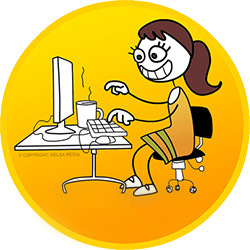 A series of humorous cartoon videos to engage employees on the latest IT security issues. Texts and content for launching campaigns and communicating with your employees. 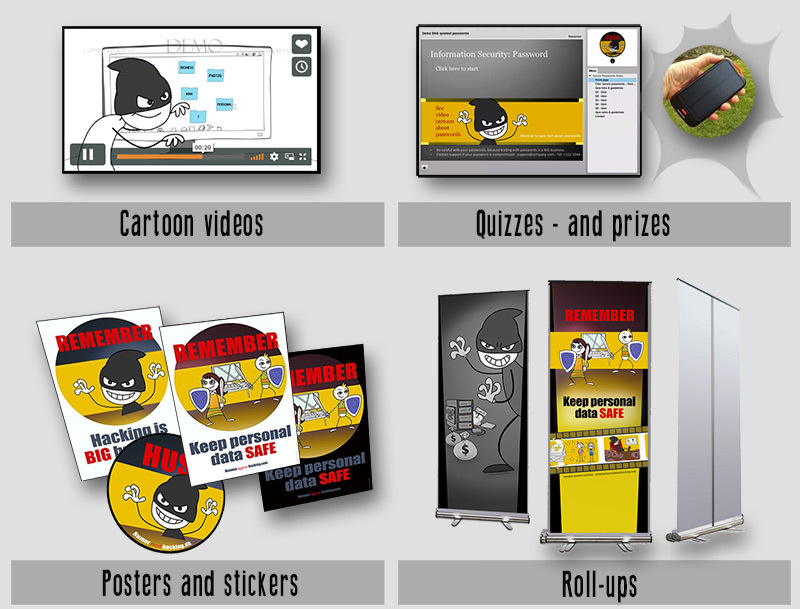 Questions, quiz modules and campaign prizes to test and engage employees. Do you want all the content or just parts, like the cartoons only? 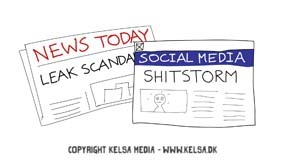 This is the experience of Køge Municipality and the Ministry of Culture, Hedeselskabet, DI, Realdania, Seges, DLG, Danish Supermarket, Unifeeder, EUC Nord, UCL, UCSyd, and many more which have used the ‘Humour against hacking’ campaign from Kelsa Media during the last years. The campaign package contains all the important messages about IT security. We offer short delivery times so you can get started quickly. The ‘Humour against hacking’ campaign is produced by Kelsa Media in collaboration with IT security professionals from education institutions, companies and government organisations. A campaign will typically run over a few months with a new theme every two or three weeks. The themes are, among others, CEO fraud, ransomware, phishing, passwords, storage, how to manage confidential information, and the new EU personal data regulation. If you would like to hear more about the possibilities of running the ‘Humour against hacking’ campaign in your organisation or company, please contact us for a chat with no strings attached. • Included (optional): A brief video interview or statement where management elaborates: Why should we know about IT security and hacking? • First campaign quiz is launched on Intranet and announced via email – along with reminder about the first campaign video. • Pause. Campaign materials (roll-up, posters etc) are removed. Next theme is then rolled out with a similar procedure. Kelsa Media has a subscription agreements both OfficeTilAlle and Plan2Lean, where videos and other material can be hosted. The organisation receives tools for a high degree of documentation detail, as it allows tracking of unique users. This means the organisation is able to monitor whether, for example, more knowledge should be provided to specific groups or individuals within the organisation. The questionnaire contains 10-15 general questions about the users’ knowledge of IT security and specific questions about the users’ knowledge about the organisation’s guidelines. Employees’ general knowledge level is tested before the campaign is launched. After the end of the campaign, the employees then complete a corresponding questionnaire. Kelsa Media assist on this task in cooperation with the organisation. In larger companies we recommend using services from a professional analytical agency. An effective measurement can be performed both qualitatively and quantitatively, but typically performed through quantitative methods, such as web interview or telephone interview. What is measured in an effect measurement? • How much of the target audience has noticed the campaign / activity? • How many have received and read some of the promotional materials? • Has the target audience noticed the message? Do they remember the sender? • How do they assess the campaign / activities? Do they think about the idea of ​​the campaign / activity? • Is the campaign / activity relevant? Interesting? • To what extent did the campaign / activity give rise to any attitude or behavioral changes? • Has it caused anyone to talk about the campaign? 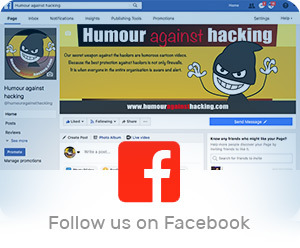 The ‘Humor against hacking’ campaign can be used in all types of businesses, institutions, institutes, networks and organisations, but for convenience, only the term organisation is used here.